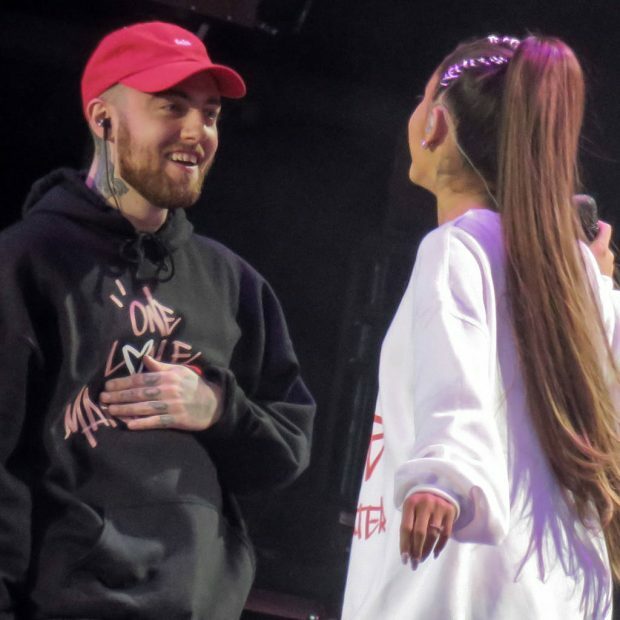 One of Mac Miller's close friends has defended the late rapper's ex-girlfriend Ariana Grande, insisting she was "unbelievably involved" in helping him get sober. The God Is a Woman hitmaker has frequently found herself under fire from Miller's fans since their split in May, particularly after he was arrested for driving under the influence (DUI) shortly after their break-up, as Ariana had already moved on to date her now-fiance, comedian Pete Davidson. The pop superstar faced another backlash on Friday following the tragic news of Miller's death from a suspected drug overdose, but his pal Shane Powers insists Ariana did everything she could to help the 26 year old get clean, and she was pivotal in supporting his first steps towards sobriety. He initially responded to the nasty comments aimed at Ariana in post on Twitter on Friday, declaring, "Ariana Grande didn't kill Mac. Mac killed Mac. Leave her alone. He'd be furious with ANYONE who made any s**tty comment to her. I'd know. Leave her alone." Powers expanded on his remarks on his The Shane Show podcast on Monday as he remembered his old friend. "He had a lot of good stuff going on, Ariana and him were together and they were very much in love, and I have to say, she was incredible when he was first sobering up," Shane shared as he recalled Mac during happier times. "She was a G (gangster) to him. There could not have been anybody more supportive of him being sober than Ariana. I saw that, I was around it, I took phone calls from her: 'How do I help? What do I do?'." Shane insists Miller's wild partying was the root of his personal struggles, and Ariana was his rock throughout as he tried to turn his life around. "This little girl was unbelievably involved and helpful to him being healthy. 'Cause whether he's an addict or not, the way that Mac partied was not healthy," Powers continued. "But I gotta tell you – there was no one in his life more ready to go to the wall for him when it came to him being sober and she was an unbelievably stabilizing force in his life, and she was deeply helpful and effective in keeping Mac sober and helping him get sober, and she was all about him getting healthy, period, in this area of his life." Ariana has yet to break her silence over her ex's passing, but she did honor Miller with a touching photo post on Instagram on Saturday. The captionless black-and-white snap featured the rapper sitting on the grass, gazing up into the camera. Meanwhile, prosecutors at the Los Angeles City Attorney's Office have decided to formally drop the DUI (driving under the influence) charge against Miller in light of his death. He had been due to be arraigned on Tuesday, reports TMZ. Miller had previously confessed to becoming hooked on "lean" – a mixture of prescription cough medicine and soda early on in his career.